Spring has finally sprung – sort of! The lambs are there, gambolling in the fields but up to now they’ve been wrapped in wee jackets to protect them from the beast from the east and all of his stormy followers. Of course, in restaurant land new season lamb is beginning to appear on menus with the first of the very early year produce now ready for the oven. Regular readers will know I am a staunch ambassador of seasonal eating therefore it may surprise you to hear the confession I’m about to make; this very early, super tender, milk fed lamb isn’t really my favourite. Lambs born in January or February have been bred to help us chefs – and you keen at home cooks – enjoy an all year round product. However, they’re not really built for the Scottish winters and so they have spent their short lives being reared indoors and for me, personally, it is just too young. Yes, it is succulent; and it is a premium product, priced accordingly, for sure, but there just isn’t enough depth of flavour for my liking. 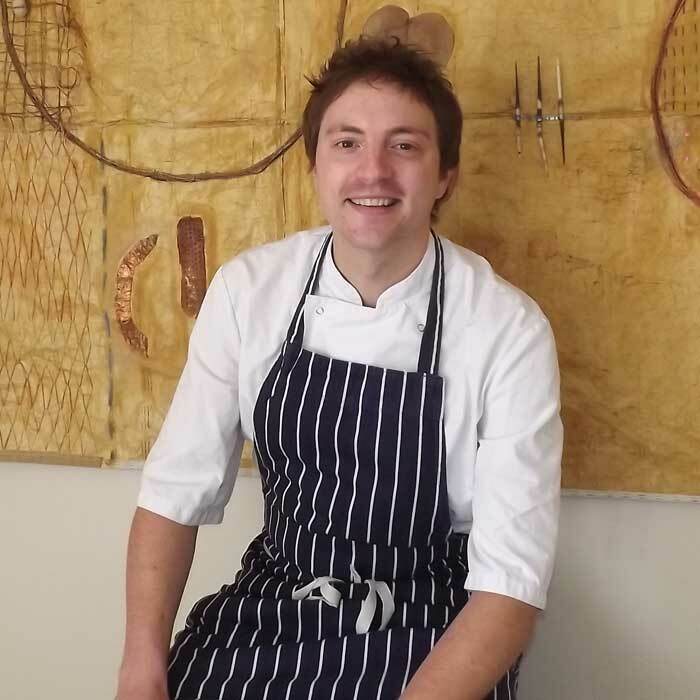 Now, before the sheep farmers come running for me, I would say that late season lamb – say August, September time – is a hard meat to beat but if you’re eating sheep in April then it has to be hogget. Hogget is sheep aged between one and two years; so not quite mutton, but definitely more mature and richer in that dense, fatty flavour. Many butchers and restaurants will sell you hogget and call it lamb because the majority of us wouldn’t really know the difference. I’d be willing to bet that many of you will think you like the flavour of this new season meat when in fact what you’re really hankering after is either a tasty piece of late summer lamb or one year old hogget. There are no disappointing cuts of meat when it comes to these two choices; from the prime rack to a juicy rump, you will find flavour in every mouthful. It is also a dream mid-week meal for busy families, perfect as it is for slow cooking. No more slaving over a hot stove, simply stick it in your slow cooker or a low temp oven and you will enjoy that distinctive, mouthwatering flavour in everything from a spicy curry to a full-on roast dinner. 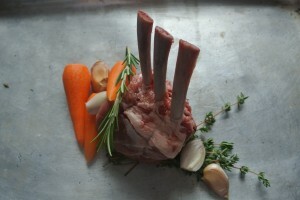 Simply replace lamb for hogget depending on the time of year and you’ll find this every bit as tasty. If you’re inviting me round, then can I request my favourite dish of all time. Diced shoulder of hogget, simmered slowly in an authentic bhuna curry and served with plenty of beer and a freshly made nan bread. You can’t beat it! If you prefer your hogget cooked more traditionally then try it with a wonderful Potato Boulangère. Chop your tatties, onions, garlic and rosemary and place into a roasting dish. 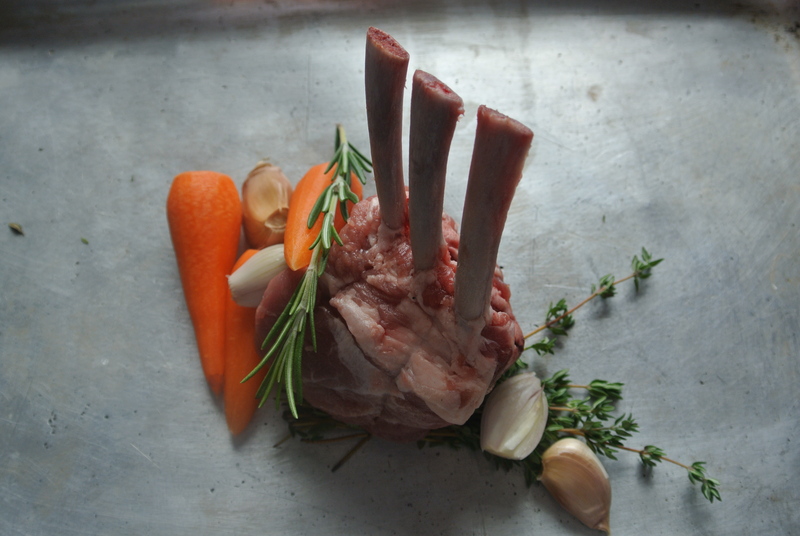 Seal your shoulder of hogget or late season lamb and place on a rack above the veg. Allow to cook slowly and the natural fats will drip down into the mixture, creating the perfect, all in one meal.